Thanks to a 3-2 win over Stuttgart at Mercedes-Benz Arena Mainz put an end to their four-game winless run in Bundesliga. 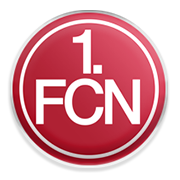 The Nullfunfer are on the right track to secure yet another Bundesliga survival and you should bear in mind that they are no less than 10 points clear of the relegation zone ahead of Saturday’s football match against Nurnberg. Mainz are high on confidence ahead of the visit of the relegation strugglers and we predict that they are going to give fans yet another reason for celebration on Matchday 19. The Bavarians are having a season to forget and considering that they struggle in front of goal, we do not believe that they are capable of spoiling Mainz’s party at Opel Arena. You should bear in mind that in their last meeting in Mainz in the German top flight die Nullfunfer emerged triumphant (2-0). Gbamin had spells with lower league clubs US Saint-Quentin Blessy and Aire-sur-la-Lys, before he joined RC Lens in 2007. The Ivorian footballer was born in San Pedro, Ivory Coast, in 1995 and, like most of Ivorian players, he tested his luck in France. During his stay in the second team, Jean-Philippe Gbamin impressed the club officials, which resulted in him braking into the first team during the 2013/14 Ligue 2 campaign. The 22-year-old moved to Mainz 05 in 2016 after making 91 appearances for RC Lens. The Ivorian international is capable of playing at the heart of defense and the base of midfield. During the first two seasons, Gbamin has featured in 55 league games. His good performances caught the eye of Arsenal officials, but the German side rejected a record deal from the Premier League giants in order to keep one of their best players in the club. Meanwhile, Jean-Philippe Gbamin signed a new four-year contract with Mainz. He played for France at the youth level, but he decided to represent Ivory Coast on senior level.